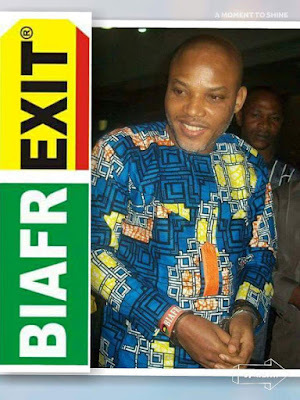 BRITAIN’S EXIT FROM THE EU: A LESSON FOR PRESIDENT BUHARI ON THE BIAFRA AGITATION. It is a big challenge to the world and to Nigeria that all the practices of human rights is totally wiped and dusted in Nigeria while other countries resolve their problems by simply obeying the law. It is the same self-determination which Biafrans are agitating for to leave Nigeria that Britons agitated for to leave EU and they were given referendum while Biafra agitation is ignored. The painful aspect of all this is that the Britons who are happy to enjoy this right stand in total opposition to Biafrans' right to the same self-determination. The term self-determination is the embodiment of the fundamental human right which gives any nation the right to determine the kind of government they want. As far as self-determination exists, any country reserves the right to demand and to agitate for the country of their choice. The United Nations Charter, Article 21 subsection 3 has it that the will of the people shall be the basis of the authority of government, and this will shall be expressed in periodic and genuine elections which shall be by universal and equal suffrage and shall be held by secret vote or by equivalent free voting procedures. Nigeria is a country made up of people from different backgrounds [nations], different religious beliefs, and customs forced together by the British government. In 1948 Sir Abubakar Tafawa Balewa stated thus in the Legislative Council: “Since 1914 the British Government has been trying to make Nigeria into one country, but the Nigerian people themselves are historically different in their backgrounds, in their religious beliefs and customs and do not show themselves any sign of willingness to unite... Nigerian unity is only a British intention for the country”. If Britain can vote and go out of the EU [BREXIT], Biafrans can as well vote and go out of the evil creation called Nigeria [BIAFREXIT]. In 1967, Biafrans who are the most affected region in the controversial amalgamated Nigeria demanded to have a separate sovereign nation from Nigeria just as they were before the unlawful amalgamation but their demands were rebuffed and they were bathed in their own blood in the war which Britain played a major role by supplying sophisticated weapons which Nigeria used to commit the genocide against Biafrans during which over 3.5 million Biafrans were killed through starvation and the use of lethal weapons which is against the law for self-determination. This was why the Leader of The Indigenous People Of Biafra, Nnamdi Kanu exposed the treacherous and dastardly acts of Nigeria government against Biafrans but has been unlawfully and extra-judicially detained by the Nigerian murderous agents under Muhammadu Buhari’s administration which was also masterminded by Britain. Biafrans, therefore, should not be deprived the right to have a separate sovereign nation of their choice. 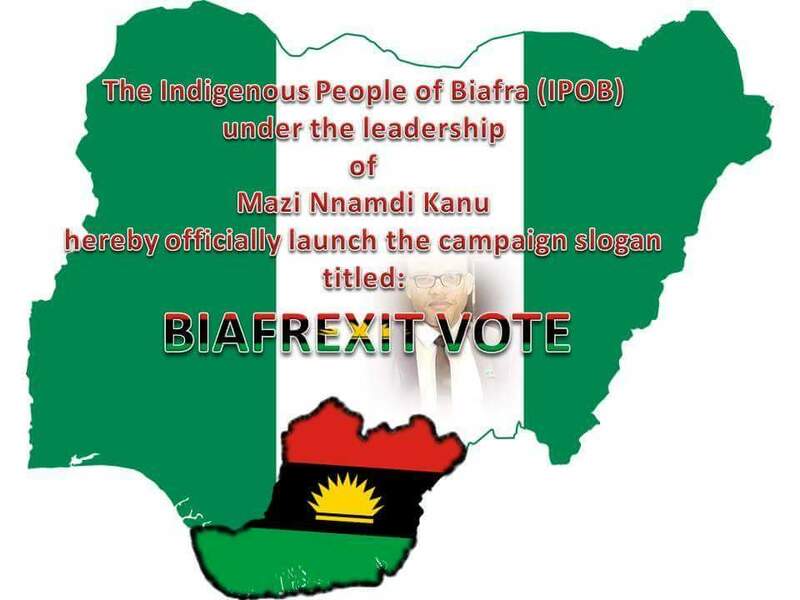 If the British can have the freedom to exercise their "Brexit" to leave the EU, Biafrans should be allowed to have their Biafrexit to attain a referendum from Nigeria, and any choice they make should be respected. Mohammadu Buhari applauded the right of Britons to leave the EU, why is he against Biafrans leaving Nigeria?